Dr. Newton is a board-certified neuro-oncologist and neurologist with over 30 years of highly specialized experience treating cancer patients. His primary focus is on the diagnosis and skilled medical care of adult patients with tumors of the brain and spinal cord, as well as on the complications of brain tumors – particularly epilepsy. An acclaimed authority in his field, Dr. Newton specializes in the use of chemotherapy and molecular therapeutics, and he has been recognized by U.S. News & World Report as one of America’s Top Doctors. A graduate of the SUNY Buffalo Medical School, Dr. Newton completed his residency training at the University of Michigan and undertook his advanced fellowship training at Memorial Sloan-Kettering Cancer Center in New York. He joined the AdventHealth network from the Wallace-Kettering Neuroscience Institute in Ohio, where he served as Director of Neuro-Oncology. 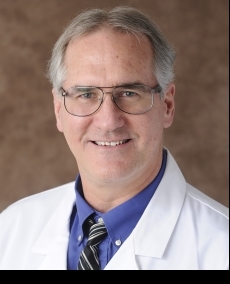 Dr. Newton is one of the most senior and experienced neuro-oncologists in the country, with a 25 year history in academic neurology and neuro-oncology. Very well published with over 200 peer-reviewed journal articles and book chapters, as well as being the editor or co-editor of 9 published medical textbooks. He is very interested in “personalized” approaches to medicine and cancer treatment, and likes to “partner” very closely with his patients and family members. Dr. Newton likes to develop a very personal and close relationship with patients and their family members. In our Neuro-Oncology Center Clinic, our goal is to treat every patient and family like members of our own family. We like to “roll out the red carpet."